I saw this cute idea from re-nest on Pinterest and fell in love before I even knew how easy it might actually be. 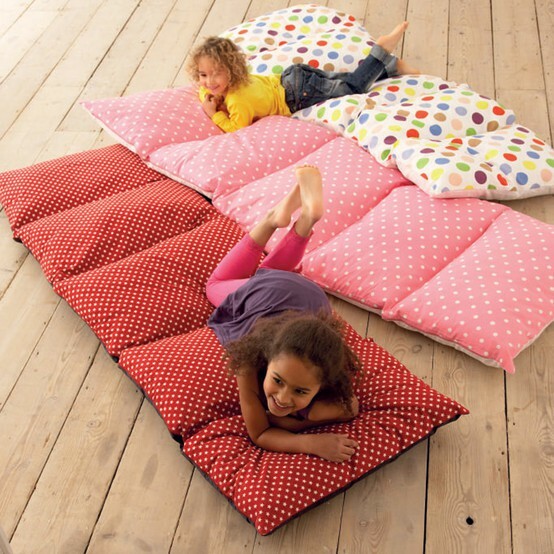 These fun floor cushions are made by sewing together pillow cases. And the best part is that you can slide the pillows out and throw them in the washer when they need a good cleaning. You can repurpose old pillowcases or wait until a cute set goes on clearance. Check out more about these fun floor pads HERE. I can't wait to make these for my son. Yes, he's 11 going on 12 soon, but I can still see him lying on the floor with these. Of course they'll have to be pillowcases styled for a boy (or man, as he likes to be called). Thanks for sharing!